Shermain Hardesty is a Cooperative Extension Specialist Emerita in the Department of Agricultural and Resource Economics, University of California—Davis. 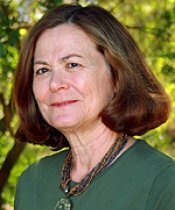 Prior to her retirement, she directed the University of California's Small Farm Program for ten years. She continues to work on research, education and outreach programs related to alternative food marketing systems, smaller-scale farms and cooperatives. Her most recent projects included expanding opportunities for smaller-scale farms in the specialty food market and fostering the sustainability of smaller-scale California farms through agritourism. Dr. Hardesty has extensive expertise regarding the marketing of value-added agricultural products. She has taught the class, Getting Started in the Specialty Food Business since 1993. She served on the boards of the California Sheep Commission and the Davis Farmers Market Association. Prior to rejoining the University of California in 2002, Shermain Hardesty was principal of FOOD MARKETING & ECONOMICS GROUP; the Davis-based firm specialized in evaluating domestic and international marketing opportunities for produce, processed food products and agricultural commodities. From 1986 through 1990, she held the positions of Director of Financial Planning and Senior Economist at the Rice Growers Association of California, a rice marketing cooperative.